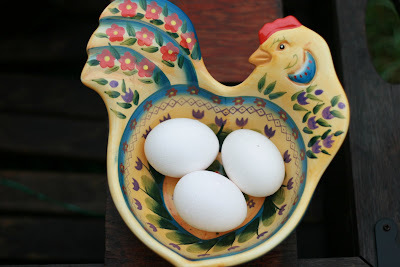 Barn Appétit: Which came first, the chicken or the egg? Now that is a century- (ies) old question. Does it really matter? I don't think so. We love both around our place. Apparently we are not the only ones who love chicken. Three nights ago our beloved hen was snatched out of her home by something that burrowed into her cage. The only one left the next morning was Sam, the rooster. Nary a trace of Penny, not even a feather. A part of Nature that I am not fond of, but perhaps she fed some babies in the woodland next door. 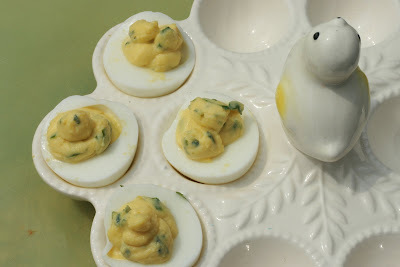 I have a recipe to share that is not your mainstream deviled egg. The recipe has a secret ingredient that will keep your guests guessing. The recipe has been researched back to Bombay to a cookbook published in the 1940s. It was under the heading of "Italian Eggs". See what you think, they are very good! 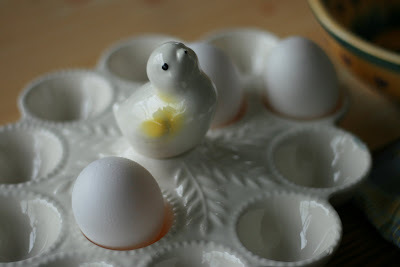 Shell the eggs, cut them in half, lengthwise, and put the yolks in a small bowl or **zip-lock bag. Set the whites aside. Add all or the remaining ingredients except the mayonnaise to the yolks, mashing well. Be sure the honey is well distributed. Mix in the mayonnaise and taste for lime and salt, adjusting if necessary. Spoon into the whites, cover and refrigerate for at least 2 hours or overnight. Let come to room temperature before serving.You can play with the seasonings, using more butter, lime, and/or jalapeno, as you like. to hard cook the eggs, set them in a saucepan just big enough to hold them, then cover with water. Slowly bring the water to a boil. Cover the pan and remove from heat. Let the eggs sit in the pan of water for 14 minutes. 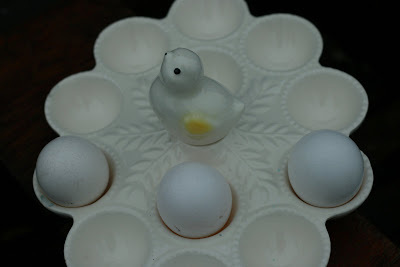 Child’s and Pepin’s technique is then to plunge the eggs into a bowl of ice water and let them sit for 20 minutes. Eggs will then peal easily and there will be no green rings around the yolks. * If mixing in a zip lock bag, snip a corner of the bag and pipe the mixture through the snipped hole into the egg white. I'm a Parsi! Are you talking about the Time and Talents cookbook? Thanks Marie, I was pretty bummed out about the demise of Penny. Hi Hooshy. It is nice to know a Parsi. I don't know about the Time and Talents cookbook, sounds interesting. The credit, as I know it, goes to the San Francisco Examiner, but they had to get it from somewhere. It is a very interesting recipe, don't you think? I'll see if I can do a little more research and if I gather more info, I'll share it with you.